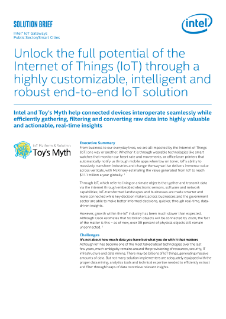 Intel® Technology Partner, Toy's Myth, offers Smart IoT Gateway, a consolidated IoT platform that identifies and locates your customers—and analyzes that data to enable better retail or smart-city strategies, customer engagement, and sales. Explore its deployment use-cases in this solution brief. Why is the Intel® Smart POS Module (Intel® SPOM) more suited for next-generation retail applications?